Caring for nearly four year old twin boys Cameron and Aydan, who were both diagnosed with varying levels of autism, developmental delay, sensory processing disorders, speech disorders and suspected intellectual disability over the past two years has, at times, been a real juggling act for parents Natalie and Hadi and older siblings Jess and Jordan. 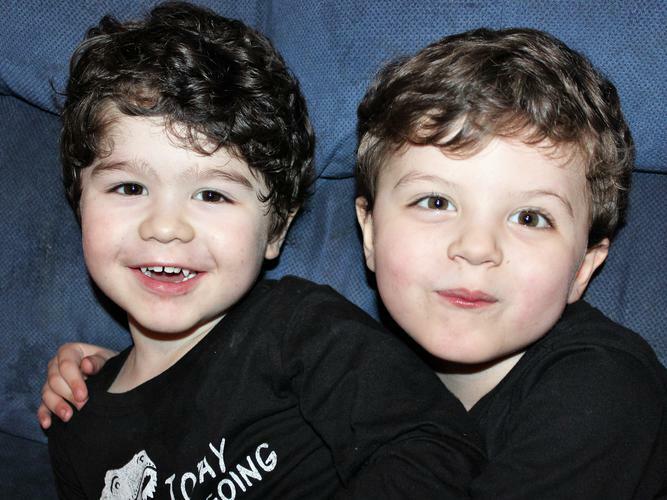 As a mum, Natalie says the struggle she shares with her family began with the diagnosis of both twins, which happened at different stages, for different things, and at varying levels. She says the hardest part of Cameron’s diagnosis was the multiple diagnosis he received, but says in Aydan’s case, the hardest part was that it was all so unexpected. “In Cameron’s case I was relieved to have a diagnosis because it meant he would get the help he needed, admittedly I was overwhelmed at the severity of the diagnosis and concerned about what the future held for him,” she says. received a diagnosis on the more severe end of the spectrum, even though at the time of his assessment I was also confident a diagnosis of Autism Spectrum Disorder (ASD) would be made. assistant and sleep therapist through their National Disability Insurance Scheme (NDIS) plan. Natalie’s daughter Jess admits there are challenging times juggling the role of carer, student and teenager, but says she loves being there for her family. “My role can be challenging at times, but it makes me feel good,” she says. “I do find it hard to keep on top of my school work and to concentrate in class, and I won’t lie, there are times where I wish the circumstances were different. “I often envy those who can go home after school and take a nap, go out on weekends and have fun, but I am able to see my brothers achieve new milestones, knowing that I have positively contributed to helping them achieve goals. Natalie acknowledges that caring for the twins is a challenge for the whole family, but works hard with them to keep a positive attitude. “It is like anything in life really, things happen, good and bad, and you adapt,” Natalie explains. “But, I think it has been incredibly hard on my older children ­ they have not had anywhere near as much of my attention as what I would like to provide and a reduction on the activities they would normally have done previously. “Personally I have struggled with managing it all and often feel like I am never enough. “But each day is a new day and I can generally tell first thing what kind of day we are going to have and then we go from there. staying at home or cancelling a planned activity. “On the days when you are feeling your lowest, remember that you are making a difference,” she encourages. “At times it can be frustrating, but the rewards are lifelong and you will develop skills along the way that you will be able to use for the rest of your life. “I urge for all young carers to reach out to your local carers association ­not only will this give you access to supports you may not know exist, but can also link you with other carers who will understand the extra pressures you face. Natalie also shares Jess’ recommendation of seeking support and services suitable for you and your situation, and adds that as a parent it is important to “be kind to yourself” during your journey. “Register with the NDIS as soon as possible, contact your local Child and Youth Health to be put in contact with an Early Childhood Intervention Consultant, register with the association in your state that supports your child’s disability, register with your state’s Carers Australia division, and join support groups both online and in person as they are a good source of information and support separate to the professionals,” Natalie says. “Remember that no one is perfect and there will be a lot of challenging days, but there will also be times that I refer to as ‘Golden Moments’ ­ these are your fuel. “These are the moments when your child reaches a goal or does something you may never have thought possible, and you will cheer as though they have just won gold at the Olympics, because in your eyes they have. “And remember, the best person to care for your child is you, and that in order to give your child or children your best, you must also look after your needs too."